The 5% discount for groups of 7 or more can be applied to this. Please note that there is still a charge of €125 for anyone accompanying a delegate to cover the costs of the social programme. 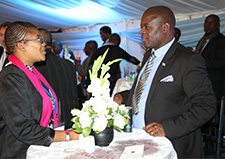 If spouses and/or support staff wish to attend the conference as well as the social events, they must pay the full delegate fee. For anyone already registered at the previous, higher fee, a refund of the difference in price will be made. 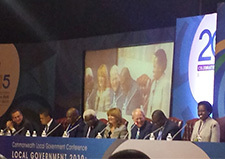 The Commonwealth Local Government Conference is CLGF's flagship event, held every two years in different regions of the Commonwealth. In 2017 the CLGF conference will be held for the first time in Malta. 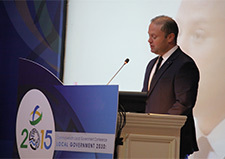 The conference brings together some 500-600 top local government policy makers, practitioners and other key stakeholders - including heads of government, ministers, mayors and council leaders, senior officials, and partners from development agencies, academia, civil society and the finance and corporate sector. 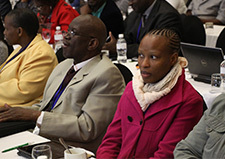 Delegates have a chance to learn about and discuss policy developments, share and learn about innovative practice and solutions to help policy makers and practitioners to improve their processes and services in their own areas. The theme of the 2017 conference is Fit for the future: capacity and resources for effective local government.